At Delta, we take the time and care to ensure every animal travels safely and comfortably. There are several different options available to get a pet to its final destination, including being brought into the cabin , checked as baggage , or shipped as cargo traveling without their owner. 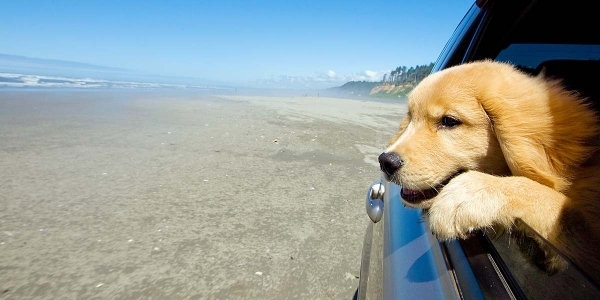 Rest assured no matter how they are traveling, pets will have a safe and comfortable trip. Delta Allows dogs, cats and household birds* to travel in the cabin of an aircraft to/from certain destinations for a one-way fee, collected at check in. *Household birds are only permitted to travel on domestic U.S. flights. Only one (1) kennel per customer may be carried on the aircraft. There are no military exception for pets in cabin. Some aircraft cannot accommodate pets in cabin. A pet must be small enough to fit comfortably in a kennel without touching or protruding from the sides of the kennel and with the ability to move around. The kennel must fit under the seat directly in front of the customer. Maximum carry-on kennel dimensions are determined by the aircraft type. Contact Global Sales Support or Delta Reservations to determine the appropriate kennel size. A pet must remain inside the kennel (with door secured) while in a Delta boarding area (during boarding and deplaning), a Delta airport lounge and while onboard the aircraft. A pet must be at least 10 weeks old for Domestic travel. A pet must be 16 weeks old if traveling to the U.S. from other countries and must be at least 15 weeks old for European Union travel. A pet counts as one piece of carry-on baggage. Pet in Cabin fees still apply. One female cat/dog may travel with her un-weaned litter if the litter is a minimum of 10 weeks old to 6 months of age. There is no limit on the number of animals in the litter. Two (2) pets of the same breed and size between the age of 10 weeks and 6 months may be allowed to travel in one (1) kennel, providing they are small enough to fit into one kennel and are compatible. They will be charged as one (1) pet. Pets are accepted on a first-come, first-serve basis. Delta and its partners limit the number of total pets in cabin per flight. Call Global Sales Support or Delta Reservations in advance to arrange for a customer to bring a pet on board. Pets in Hold (AVIH) is a service offered by Delta to active U.S. military or active U.S. State Department Foreign Service Officers (FSO) and spouses (see requirements below),as well as any trained service or support animal unable to travel in the cabin. All animals not meeting these exceptions may not travel as checked baggage and must travel as freight through Delta Cargo. Delta only accepts animals as checked baggage for active U.S Military or Active U.S State Department Foreign Service Officers (FSO) & their Spouse with active transfer orders for a fee. Pets must comply with federal regulations, including proper documentation based on current policies and procedures. Military Personnel and Foreign Service Officers who meet the outlined exceptions must book pets as checked baggage at least 48 hours before departure. All other animals, including reptiles and primates (including lemurs, monkeys, orangutans, gorillas and chimpanzees), must be shipped as cargo. Animal fees are charged each time the pet is checked in at the airport. Fees will be assessed at each stopover point. Exceptions may apply to routings that require connections greater than 6 hours. Animals are not included in the free baggage allowance or for Delta American Express card (AMEX) free baggage allowance. No excess size or weight fees apply. Please note: Delta and Delta Cargo do not accept warm blooded animals on flights with an average flight time of greater than 12 hours. *CAD amount will be charged exit Canada, and EUR amount will be charged exit Europe. Fees established by the contract of carriage in effect at the time of ticket issuance will apply. Please note: Fees are subject to change. Delta will not accept animals traveling on itineraries with more than one connection. Delta will not check animals through on separate tickets as separate fees may apply. Customers must collect the animal and re-check the animal with the first operating carrier on the additional ticket. An exception may be made for separate tickets if they are issued on DL006 ticket stock and if all flights on the itineraries are Delta-operated. Delta cannot check animals through to other airlines (OAL) with the exception of a SkyTeam partner airline. Please contact Global Sales Support or Delta Reservations for information regarding the pet in hold requirements if transferring to another SkyTeam partner airline. Customers will need to contact the other airline to verify animals as checked baggage acceptance and carrier charges. Customers must claim their checked animal from Delta at the connecting point and re-check pet with the other airline. Make sure to add 45 minutes to legal connecting time to make the transfer. Please contact your local Delta Reservations office or Delta Sales Support to assist you with the documentation requirements for a reservation that includes a PETC or AVIH. Delta Cargo provides safe, reliable, year-round transportation for a pet and is designed to address the special needs of all warm-blooded animals that are shipped without their owners. Please review the following information before booking a pet on Delta Cargo. A separate booking from the customer’s flight itinerary is required. Go to Delta Cargo or call Delta Cargo at 800-352-2846 for details. Additional fees and charges may apply. A pet shipped domestically via Delta Cargo cannot be booked until 14 days prior to departure. Pets are not guaranteed to be shipped on a customer’s same flight or flight schedule. Shipping a pet requires dropping it off at a Delta Cargo location at least three hours before departure time at a location separate from passenger check-in. Picking up a pet would also occur at a Delta Cargo location. Delta Cargo only accepts international pet shipments from known shippers. Delta suggests that international customers use a pet shipper approved by the International Pet and Animal Transportation Association. Customers would then need to follow acceptance procedures set by the shipper. For additional information, please contact Delta Cargo at 800-352-2746. Many countries and states have strict regulations regarding international pet travel. Please see U.S. Domestic & International Pet Travel for more information. View helpful health requirement guidelines to ensure a smooth experience when traveling with a pet. To transport a pet in cabin (PETC) either soft- or hard-sided kennels must be leak-proof and ventilated on at least two sides. Kennels are not sold at Delta Ticket Counters, but are available at most pet supply stores. To transport a pet as checked baggage or cargo, use an approved shipping kennel in accordance with the U.S. Department of Agriculture (USDA) guidelines . The kennel must provide enough room for a pet to stand and sit erect — without the head touching the top of the container — and to turn around and lie down in a natural position. Approved kennels are available for sale for Delta customers and shippers at most Delta Cargo locations, as well as many pet supply stores. To purchase a kennel from Delta, check with the local cargo facility for availability of the kennel size needed in advance of travel date. View additional details regarding kennel requirements including kennel type, size and cost. Due to seasonal weather conditions, to keep pets safe, we do not accept pets as checked baggage during certain times of the year. During those times, customers may ship their pets as cargo . Delta also will not accept an animal as checked baggage if the temperature in one or more of the cities in the customer's itinerary is at or near Delta's temperature restrictions, above. Please note: No exceptions are allowed for the temperature restriction. Delta reserves the right to refuse live animals as checked baggage and as cargo if the animal's health is in question and/or if the health of the animal may be jeopardized by extreme conditions. Delta no longer accepts live animals as checked baggage for travel to/from Liberia, Costa Rica (LIR). Delta does not accept pets as checked as baggage on Delta and Aeromexico operated flights. Pets may be shipped as cargo but temperature restrictions apply (see year round temperature restrictions above). For all other scenarios, please see the year-round temperature restrictions above. Pet birds and tropical birds normally kept indoors are at risk if the temperature, at any point on the planned itinerary, is below 50F (10C). When temperatures are between 50F (10C) and 20F (-6.7C), they are transported at the risk of the shipper. A certificate of acclimation is not required. Shipper, or shipper's agent, certifies in writing on shipper's letterhead and submit with the air waybill, that the birds being shipped were born or bred in captivity or on special farms, or birds are being shipped to or from a zoological garden, wildlife preserve, or government wildlife agency. Transportation is restricted to Delta local services. Delta does not accept snub-nosed or pug-nosed dogs and cats as checked baggage in Cargo. There are no military exceptions for restricted pet breeds. Visit Delta Cargo for complete details regarding transporting live birds. Pets in Cabin (PETC) are not allowed in the Delta One, Business Class or First Class cabin on any international flight, regardless of aircraft type, due to insufficient space. In addition, for the same reason, pets are not allowed on any domestic flight in the Delta One, Business Class or First Class Cabin, that is equipped with a flat-bed seat. Delta does not accept animals as checked baggage or cargo on any Delta operated B767 aircraft systemwide. There are no exceptions to this restriction for any customers, including military customers. Delta does not accept animals as checked baggage or cargo on any Delta operated B757 aircraft to/from Europe. There are no exceptions to this restriction for any customers, including military customers. Delta does not accept animals as checked baggage or cargo on any Delta operated A330-200 aircraft systemwide. There are no exceptions to this restriction for any customers, including military customers. If a pet's journey requires it to fly more than one airline, there are some additional considerations to think about in advance. Arrange for a pet's flights to allow for plenty of extra time to change planes. Prior arrangements are necessary with all the carriers involved, for a pet to receive proper attention. If a pet has to transfer from a Delta flight to a Delta Connection flight, the Delta flight must be confirmed at least 48 hours before the scheduled departure time of the Delta Connection flight. That way we have enough time to make transfer arrangements between the two carriers and ensure the pet is safely delivered. Delta Connection & Pet Travel have different capabilities and policies concerning pets. Additional information is available for transporting service and support animals. For any additional information or questions regarding Delta's pet policy program, please contact Global Sales Support or Delta Reservations for assistance.